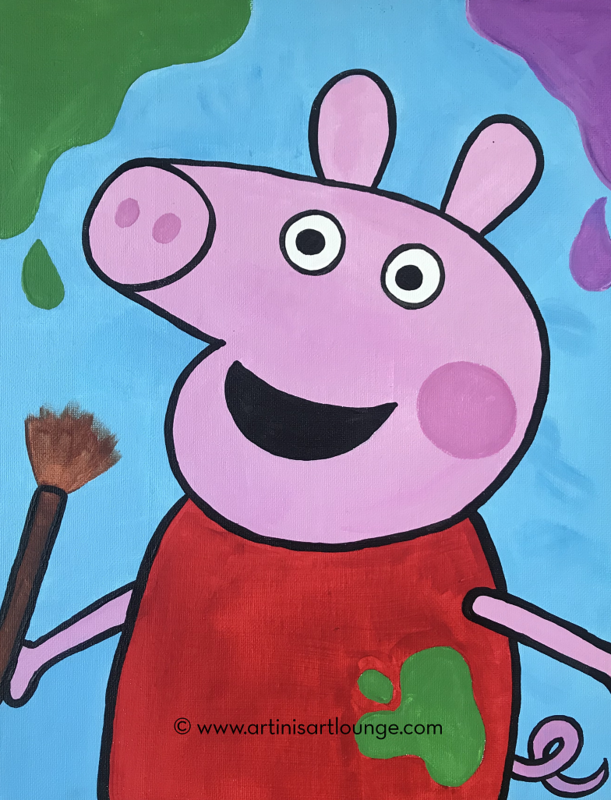 Family Paint - Peppa Pig! *We do require at least 4 painters in order to hold these sessions, so advance registration & payment really helps us know where everyone stands. If it looks like we won't make that mark, I will communicate with you about it. A bright & fun one for the kids & family! All ages & skill levels are welcome! These sessions are designed to go a litlte quicker so the younger kids are able to complete them without "checking out" or getting bored, or having a melt down. The smaller size is easier to cover than our standard size & canvas board dries faster than a stretched canvas. Allow 2 hours for class, but we'll likely wrap up before that time.